Well, it has taken me a while to get to this point, but I’ve finally come to realize that the best thing I can offer you as a reader is myself. That might sound kind of unfortunate, so let me explain (trust me it’s not creepy). 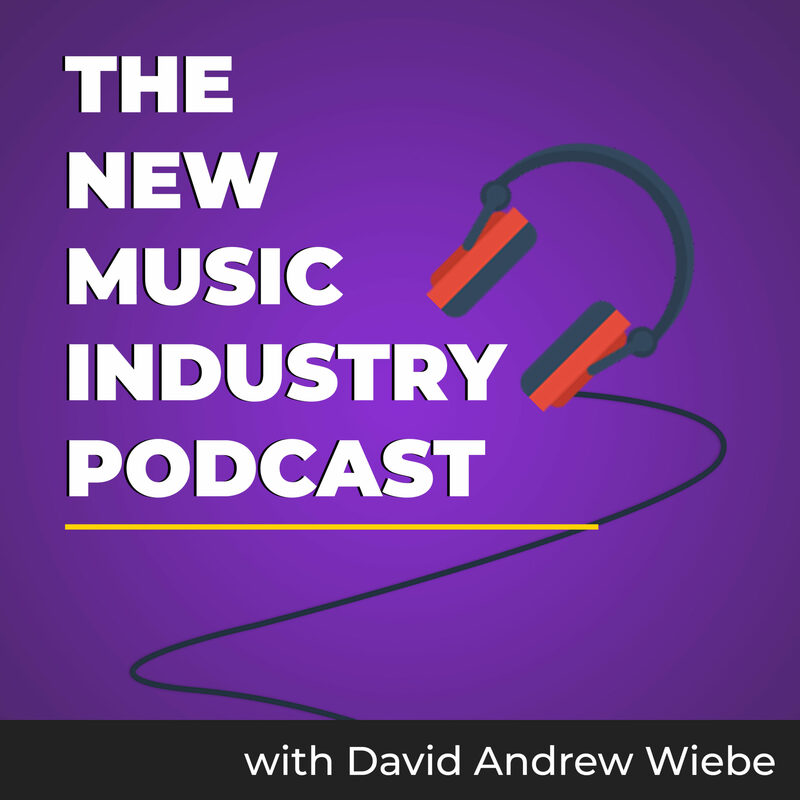 I’ve written a lot about music marketing over the years. I’ve shared about social media promotion tactics. 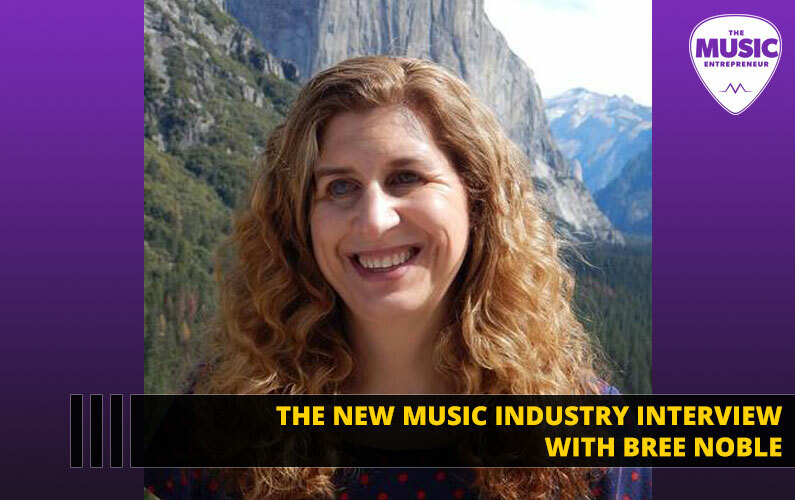 I’ve talked about business and music entrepreneurship. I’ve interviewed a lot of artists and experts. But there’s no denying that there are already a lot of fantastic resources out there that cover each of these topics. That got me thinking about how I could serve you in a unique way. On the heels of the minor success of my book, and chats I’ve had with the likes of Jesse Cannon, I’ve come to recognize the importance of authenticity. I’ve certainly tried to be genuine and transparent here on the blog all along, but some recent events have prompted me to consider getting back to the basics of sharing my journey with you. So, here’s a rather candid career update and inside look into what I’m doing in my life. There seems to be a bit of a misconception, so let me make this abundantly clear: I am very active in music, and I do get out of the house regularly. Seriously. I know I’ve shared some of my low points in the past, but rest assured I am in a new head space now. 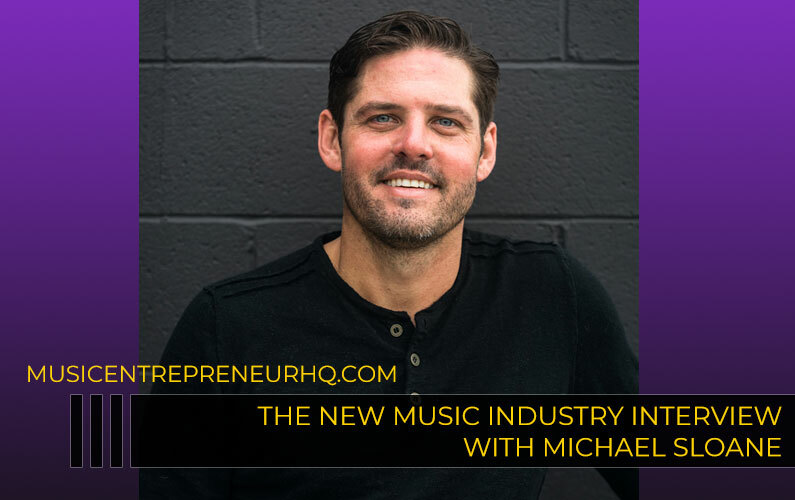 My multi-year “departure” into business meant that I wasn’t really focused on music for a while. That was ultimately a healthy thing, but because of that, my mind was elsewhere as I continued to work on TME. From an outsider perspective, it might seem like I’m holed up in a dark basement, but it’s definitely not the case (well, part of my day is in a dark basement). I was just at an Adrenalize rehearsal the other night, and I’m performing with Long Jon Lev on the 17th and 18th this weekend. We have a lot of gigs booked throughout July, August, and September. You may have also caught wind of my new single. Yes, it has been way too long since I last released anything as a solo artist, but I do intend to make up for lost time. I don’t think anyone understands this better than artists – you know as well as I do that you have to spend a lot of time alone to hone your craft. Learning an instrument is like that. Songwriting is like that. And writing is like that too. With this in mind, there’s no denying I do a lot of writing. How much? This week alone, I’ll have written well over 6,200 words, not including this post. Why? Because that’s my work. You can think of it as my day job if you want. In the last 24 months, I’ve gone from making $500 per month to well over $4,000 in freelance work (mostly writing). 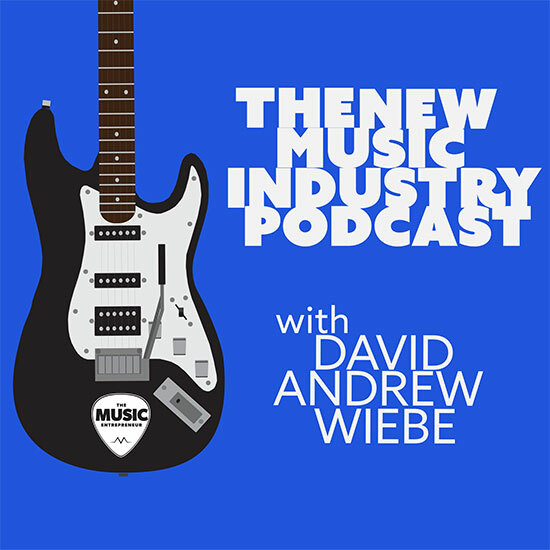 And a good chunk of that comes from writing for the music industry, so that’s a pretty big win in my books. Better to have the flexibility of working from home than to have to go to an office job every morning, don’t you think? But those projects keep me very productive (and by that I mean busy), which is why music and business is something I work on in my spare time, pretty much like any other artist. I think I’ve painted an adequate picture already, but again I want to emphasize that I’m not a big-time hot-shot artist in the music industry. I’m pretty good at what I do, but you won’t see me bragging about my bling in a self-important music video. That’s not my esthetic to begin with, but if it is yours, more power to you. “So why the hell are you teaching?”, you may ask. Part of it is that the teaching blood runs in my family. For better or for worse, it’s part of who I am. But as with any other entrepreneur, I saw an opportunity. NOT an opportunity to take advantage of people and make loads of money, but an opportunity to share what I’m learning, what has worked for me, what hasn’t worked for me, and what I’ve discovered over the years. I felt I did a very thorough job of that with my book. I never once pretended to be a know-it-all, but I am well-versed in a variety of topics because I’m constantly studying and researching (this is also part of who I am). There’s no reason to prop me up. I’m just like you. 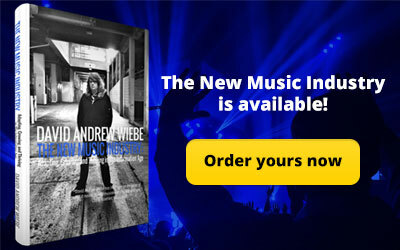 I must have thought that helping musicians and building a music career were two separate things. I now see that I can’t help anyone without first helping myself. Maybe I got it a bit backwards. But that’s a bit of a rabbit hole, and an important realization in itself. But You Are A Successful Business Owner, Right? This is another area where I feel some clarification is needed. I’m sure my website looks polished and professional. I drive a decent amount of traffic on a daily basis. My email list is slowly growing. You can see that I’ve been featured on some prominent sites too. But I’ve been very honest with how much money I’ve been making. You can even check out my income reports if you want to gain a more in-depth understanding of where I’m coming from. A lot of my industry income has come as result of having a website, not necessarily through the website. This difference is crucial. 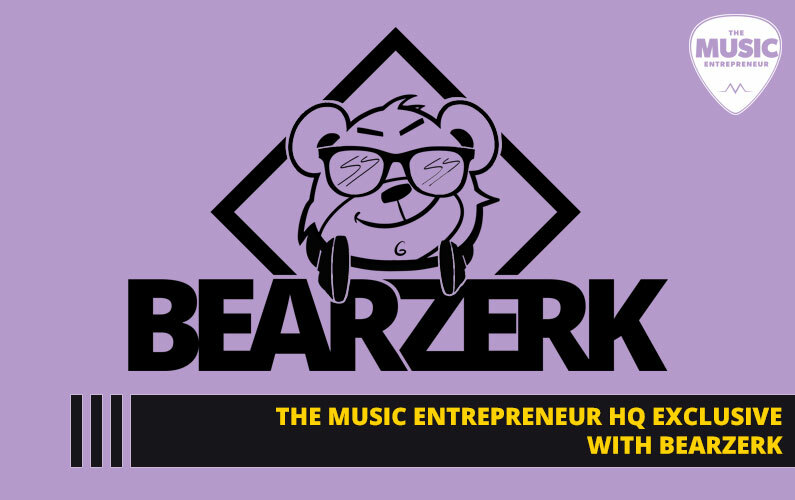 I make several thousand dollars per month cumulatively, but that comes from a bunch of freelance work I’ve cobbled together, some music-related, some not. My products have made me some money, no doubt, but not six or seven figures. More like three or four figures. I’m not ashamed to admit that. I’m a successful business owner (or freelancer), perhaps, but not a Fortune 500 business owner. I’m not even in the same stadium as some of those guys! I even admitted to losing a lot of money in an investment that should have gone a lot better. But a high number of businesses fail, so if you want to invest, you have to take some chances! That I’m not connecting with you in the way that I need to (feel free to let me know). That my marketing isn’t working and needs to be revised. That there actually isn’t any money in this market (seems unlikely, but I will throw this out there). That there are a ton of things I need to learn about business (definitely). To be perfectly honest, I still see TME as a young business with massive upside potential. It’s been around for quite a while, but it’s just now getting established. I recently heard a saying that rung true with me: decisions don’t change, but plans do. I know what I want to do and what I want to accomplish, but I may need to rethink my plan for getting there. You may have heard of Robert Keyosaki’s CASHFLOW Quadrant before. I won’t go into a lot of depth to describe it here, but the idea is that there are four ways to make money. Yes, count them, four! Did you ever learn that in school? I didn’t think so. I recently watched a speech by Eben Pagan on YouTube. I really liked the layer he added to this whole concept. Pagan suggested that this the quadrant is actually closer to a ladder. So when you learn all there is to know about being employed (E), you graduate and become self-employed (S). 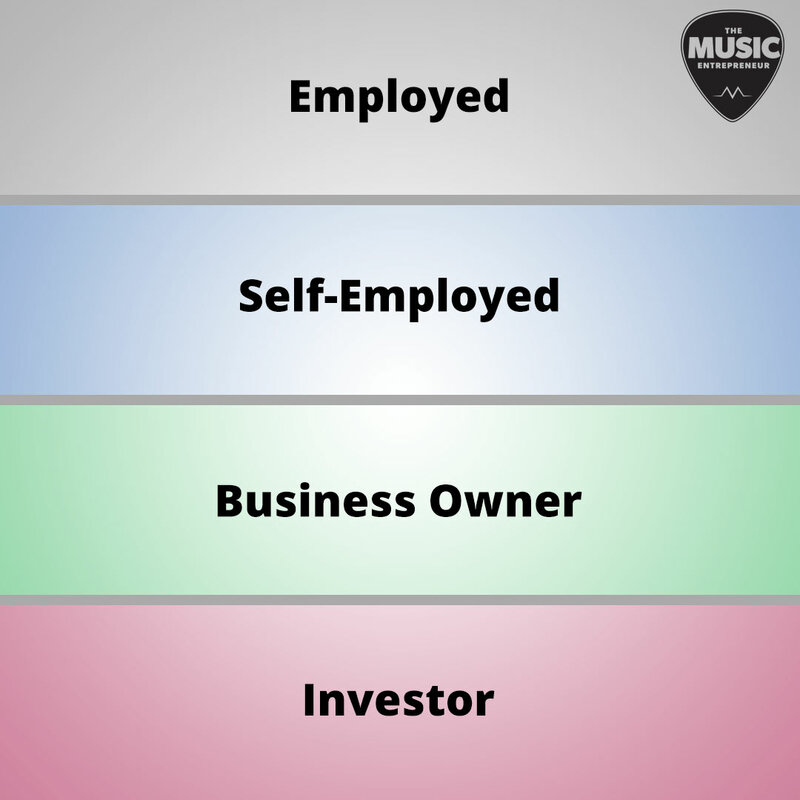 When you master self-employment (S), you move onto entrepreneurship (B), and so on. The four phases definitely overlap, but as you master one, you earn the right to move onto the next rung. They are kind of upside down in this image though. So when I think about where I’m at, I have yet to graduate to entrepreneurship (B), but I’m definitely not a newbie freelancer (S) anymore. I’m learning what it means to be a business owner (B). I’m not going to learn it all overnight. What Are You Doing With Your Book? 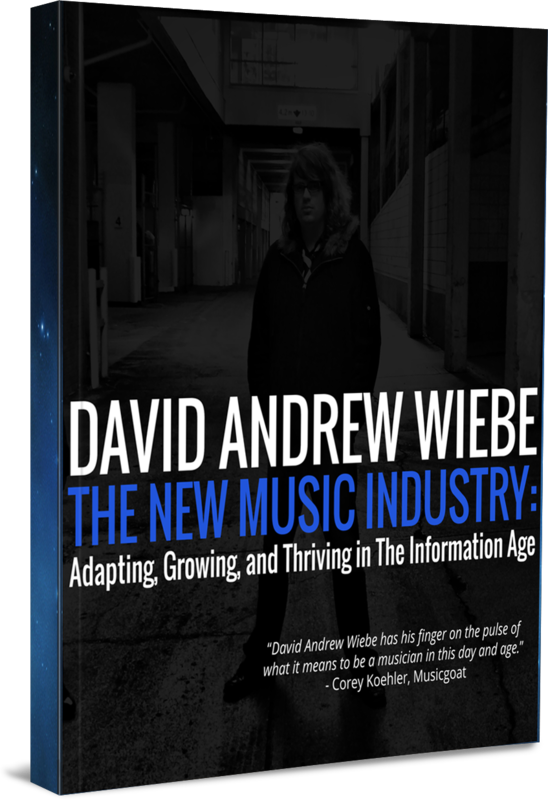 My book, The New Music Industry. Launching a book is an incredible experience, and I would recommend it highly to anyone that’s ever thought about writing one. Again, my book has not led to millions let alone thousands of sales, but it has slowly and quietly been gaining momentum all on its own. To some extent, I have to guess that this is because you can find it on prominent online booksellers like Amazon and Kobo. Friends, family members and colleagues have also bought copies. And I know that some of you reading this have bought a copy too (kudos to you). Speaking has been a great way of spreading the message, but I don’t necessarily have a lot of time to be pursuing engagements right now. You’re always welcome to contact me about that though, because even if I can’t prioritize booking, I will prioritize crafting and making speeches. My speech from WordCamp YYC is probably up somewhere (or will be up somewhere), but I haven’t found it yet. I’ll post if/when I see it uploaded. But I always laugh when I hear people ask me “what are you doing with your book?”, because I actually have a huge number of documented strategies. I just haven’t had a lot of time to act on them. What About The New Podcast? I’m glad you asked, because it actually ties in with the release of my book. The new podcast is one of the reasons I haven’t been posting here as much. I’ve been preparing for launch, and it’s crazy how much time has already gone into that. This is the first time I’ve shown this anywhere – podcast artwork as designed by my wonderful sister. This is partly because I’ve been preparing a month’s worth of content in advance of the launch. I want to stay ahead of the publishing schedule as much as I possibly can. And I also want it to be one of the best things I’ve ever done. I’ve focused on throwing in as many extra frills I possibly can. At the end of the day, there’s a limit to how much one man can do, so I need to be watchful of perfectionism, but as long as the bells and whistles make my job of marketing easier, they are worth implementing. That’s why I’m going all-in on the book and creating an entire podcast around it. And You’re Working On Another Book, Right? Yes. I’m a tad behind on the writing, but should be able to catch up in the near future. If you’re a regular visitor to the website, then you’ve already read some excerpts from it, perhaps without even realizing it. 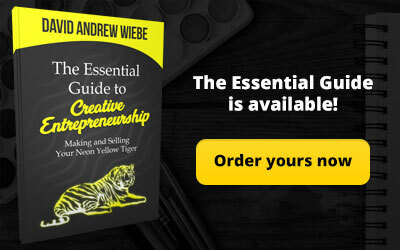 The plan is to write an entire book around the topic of creativity. This isn’t what I was planning on doing so much as what naturally came about as I was writing. Inspiration prompted me to move in this direction, and it’s shaping up to be a very different book from my first. 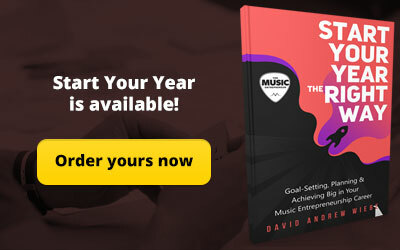 That’s a good thing though, because I really didn’t want to repeat myself (something I would have done had I started another music industry book). I would like to set up a pre-order page for the new book too. That’s on my to-do list. Yes, I still want to be, and still am playing a lot of music, though it may become necessary to pare down the projects I’m involved in at some point. At present, I’m performing with three bands: Adrenalize, Long Jon Lev, and Legal Aliens. Adrenalize and Long Jon Lev have been long-term projects with considerable promise – one built around Def Leppard covers, and the other around the songwriting genius of Jonathan Ferguson (i.e. original music). 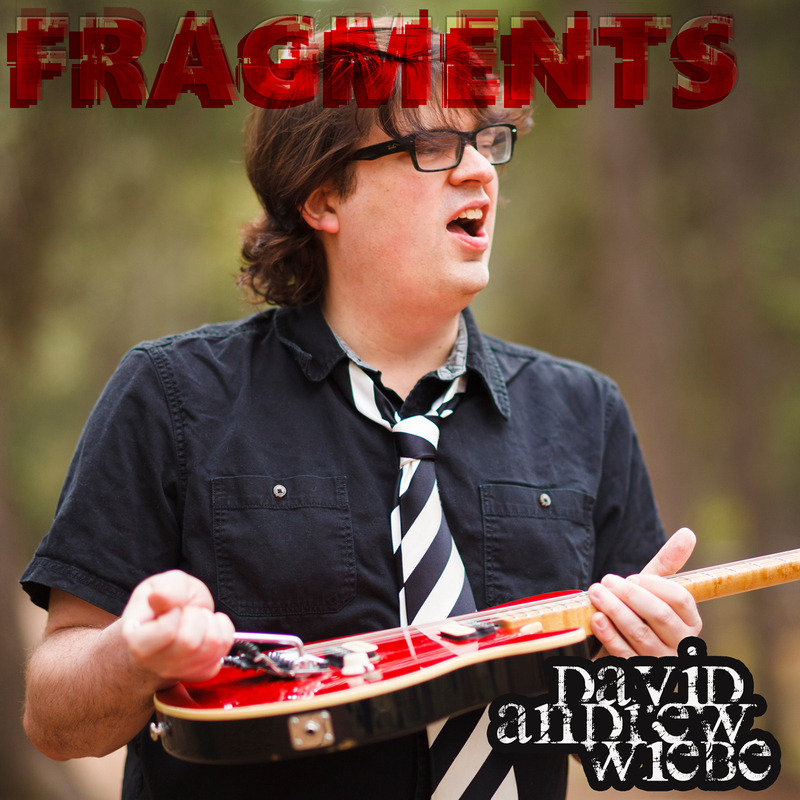 I also came out with a new single called “Fragments” in May, and have plans to release another here in June. Monthly releases will hopefully become the new norm, though it could definitely mean publishing less here on TME. That probably will be the case, but I do have a long-term plan in mind for TME, and less frequent, more quality posts (like this one…?) probably wouldn’t be a bad thing. If you think otherwise, you can always give me a piece of your mind in the comments. I’ve talked about the fact that I need to grow as a businessperson. I think there are many other ways in which I need to grow as an individual, but you can’t do it all at once, and my life is stuffed to the rafters as-is. Don’t get me wrong – I am more of a both/and guy instead of an either/or guy. But you’re definitely going to need help if you keep choosing both/and, and that’s where I’m at. I could use some help (no, not that kind of help)! As far as books go, I recently completed Tim Ferriss’ The 4-Hour Workweek: Escape 9-5, Live Anywhere, and Join the New Rich (affiliate link – get it on Amazon US or Amazon Canada). It’s a bit old, but it’s an incredibly inspiring read. I’d heard lots about the book prior to talking to James Moore, but that’s what really pushed me over the edge to buy it (James was one of the first guests on my new podcast). I’m looking to implement some of these strategies in my life, because I don’t want to live the differed life plan anymore. I’ve been aware of the lifestyle design movement for a while – I just didn’t have a concrete plan for making it happen in my life. Now I’m beginning to see how it can work. Currently I’m reading Jeff Walker’s Launch: An Internet Millionaire’s Secret Formula To Sell Almost Anything Online, Build A Business You Love, And Live The Life Of Your Dreams (affiliate link – get it on Amazon US or Amazon Canada). The read itself has been decent, but it’s the strategy that I’m after. I will likely be using his strategy to launch all future products. There is no secret sauce to business, music or life, and like anyone else, I’m just trying to figure things out. But I’m a voracious student, and I’ll just keep learning and trying. Eventually, I want to whittle down my reading list to the best books I find, but for now there is still so much to explore. This Sounds Impossible… How Are You Keeping Up With It All? I hear you. This is a lot for one man, and I honestly can’t say that I’ve been keeping up. It’s really just managed chaos at this point. I’m also not suggesting that I’m going to be sticking with every project mentioned here long-term. I am in the process of streamlining my work life, and that will give me roughly 10 to 20 hours back per week. It’s a small start, but this is the bare minimum to sustain my sanity. Beyond that, it all depends on the opportunities available. There certainly doesn’t seem to be any shortage, and even in this so-called “economic recession”, I have never been in a position of wanting. 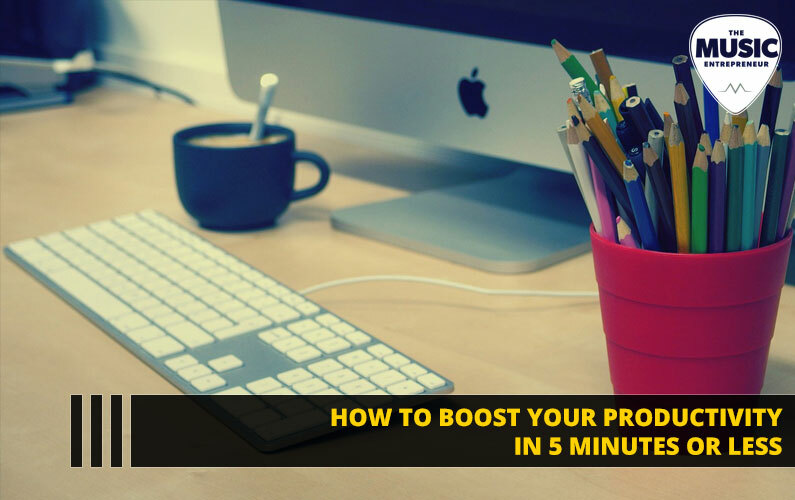 When I started building towards becoming a full-time freelancer in 2014, it was a different matter altogether, but now, the tap is flowing and I can’t stop it! Hopefully I’ve cleared some things up for you, and hopefully I’ve delivered content that matters. That sounds like a good slogan for 2017, actually: Content That Matters. Any thoughts? Were you surprised to read about some of these things? Is it more or less what you expected? 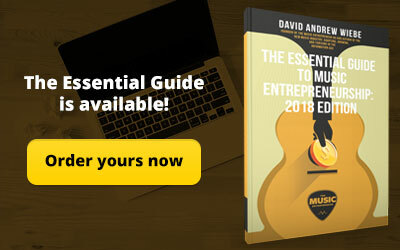 Will you be viewing the work we do here at The Music Entrepreneur any differently? P.S. I’m here to help. 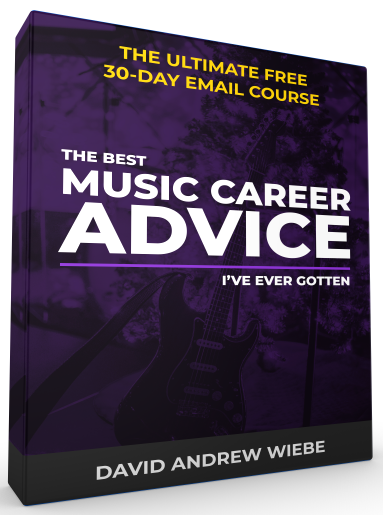 Feel free to take advantage of our free guides and eBooks to move your career forward. Cheers!